Sustainable Jersey for Schools grants are intended to help schools make progress toward a sustainable future in general, and specifically toward Sustainable Jersey for Schools certification. Sustainable Jersey for Schools. The funding supports efforts to implement projects that help schools gain points needed for Sustainable Jersey for Schools certification and make progress toward a sustainable future. The funded projects serve as practical and innovative models for the rest of the State and make measurable contributions toward the long-term goal of a sustainable New Jersey. the Sustainable Jersey for Schools program. The project should leverage partnerships with parents and community resources and include an outreach component focused on promoting community awareness of the project. Funds from the $2,000 grants can be used for general school green team expenses or for a specific project that will earn points for an action in the Sustainable Jersey for Schools program. promotional items. NOTE - Promotional items should not comprise more than 25% of the proposed grant budget. Promotional items include œgive-aways, such as refillable water bottles, t-shirts, bags, etc. ; incentives or awards, such as prizes, gift cards, etc. ; and meeting supplies. 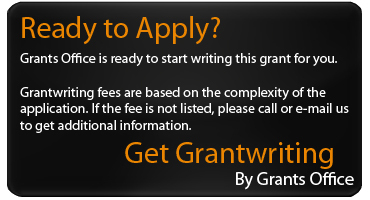 Facilities and administrative (overhead) costs may NOT be charged to the grant. For this cycle, energy-related projects ARE NOT eligible for funding. Sustainability Institute at the College of New Jersey Forcina Hall, 3rd Floor 2000 Pennington Rd. Eligible applicants for are New Jersey school districts or schools with an NJEA local association. Further, applicants must be registered in the Sustainable Jersey for School program with an established Green Team. Applications were to be submitted by midnight eastern time on October 31, 2017. A similar deadline is anticipated biennially. Forty $2,000 grants to support school green teams. The $10,000 Project Grant recipients will receive an initial grant award of $5,000 at the press announcement event in mid-January. The remaining $5,000 balance of the grant award will be paid contingent upon satisfactory completion of the project and approval of the final fiscal and project report, due no later than June 30, 2018. The $2,000 School Grants will be awarded in full at the press announcement event in mid January. All grant funds must be fully expended, projects completed and final reports submitted by December 31, 2018. Matching or in-kind contributions are encouraged, but not required.